The opening track on Rush's new album, "Vapor Trails," may be called "One Little Victory," but it symbolizes a huge triumph for the Canadian rock trio. A classic Rush anthem with a contemporary heavy metal twist, "One Little Victory" opens with a flurry of frenetic and thunderous rhythms courtesy of drummer-lyricist Neil Peart. The storm builds as Alex Lifeson's roiling guitar grooves churn under the unmistakable high whine of frontman-bassist Geddy Lee defiantly singing of savoring success. "It says, 'We're back,'" Lifeson says decisively on the phone from Charlotte, N.C. Rush's return was not a foregone conclusion. In 1997, Peart lost his only child, a daughter, in a car accident, and his wife to cancer. 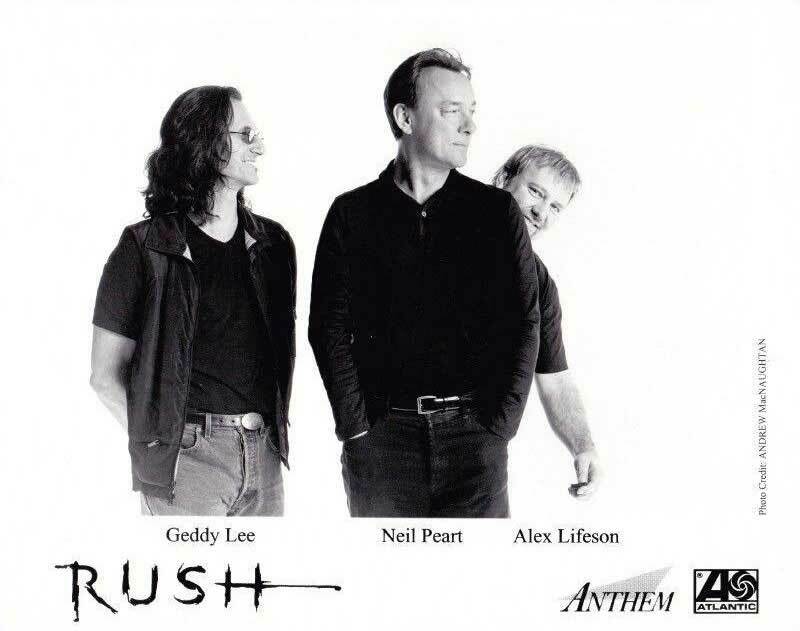 Needless to say, making an album was not his priority, and Lee and Lifeson weren't sure it ever would be. After criss-crossing North America on his motorcycle, Peart began to heal, remarried and was at last ready to rejoin the influential prog-rock band. The decision to record "Vapor Trails" and mount a summer tour, which comes to the Tweeter Center Friday night, was one that pleased Peart's math-rocking band mates as much as the band's legions of notoriously ardent fans. "The first shows of the tour have been just unbelievable," says Lifeson. "Everybody just seems so happy and it's really a wonderful feeling to look out across a sea of people in front of us and see so many smiling faces." Lifeson chalks up the life-affirming mood to Peart's re-emergence. "Everybody celebrates a survivor," he says. "Someone that's come back from some terrible tragedy or crisis gives everybody a little glimmer of hope, I think." "Vapor Trails" debuted at No. 6 on the Billboard pop charts, giving the band its own glimmer of hope. "That felt great," says Lifeson. "Especially for the record company and for management, that's a really big thing. For us we were just happy we finally made the record and got it out." He's not kidding. "Vapor Trails" took 14 months to write, record and mix. "Normally for us, four or five months is normal. But we came back after all this stuff and we needed to get to know each other again and feel comfortable and we really wanted to move in a different direction with the music." While all the basic elements of any Rush album are in place, longtime fans might be surprised by the absence of synthesizers and Lee's more delicate vocalizing. Not to mention Lifeson's freewheeling guitar work, which he admits was partly inspired by his own admirers, such as Adam Jones of Tool and Tom Morello of Rage Against the Machine. In addition to contemporary inspiration, the trio took a completely different approach to recording. The three band mates conducted the kind of impromptu jam sessions that are natural for most bands but alien to this classically trained, precision-oriented group, which has sold 40 million records during a 30-plus year career. "There was a lot of emotion, a lot of spontaneity in the playing on this record, just Geddy and I jamming, catching that moment and then constructing a song out of those bits and pieces. We didn't learn it, rehearse it and then re-record it." Lifeson admits that in the past, "We could be too surgical when it comes to recording." Lyrically, Peart also took a different tack. Lifeson says that he and Lee tried to keep their drummer on a relatable track, however. "This was very, very personal (for Peart) and a lot of the lyrics came in the first person and Geddy was a little uncomfortable with that. He thought that there should be more universality, so it would be easier for him to convey the required emotion and passion without singing through Neil." Longtime fans should be pleased with the results, as tunes like the questing "Ghost Rider" and the feral post-9-11 rocker "Peaceable Kingdom" combine personal reflection with collective emotions. Fans also should be prepared for a marathon live show that will include everything from big hits such as "Tom Sawyer" and "Limelight" to beloved geek obscurities such as "La Villa Strangiato." The bandmembers, all nearing 50, believe in giving a big bang for the fan's hard-earned buck and have been playing up to 3 1-2 hours a night. "When I saw Tool," says Lifeson, "I think they only played for about an hour and 20 minutes, and I know some friends went to see Creed and they played 58 minutes; and I thought 'Boy, move over kids and let the grownups show you how to do it.' "
Rush play the Tweeter Center in Mansfield Friday night. Tickets are $ 30-$ 65. Call 617-931-2000 or go to www.ticketmaster.com.